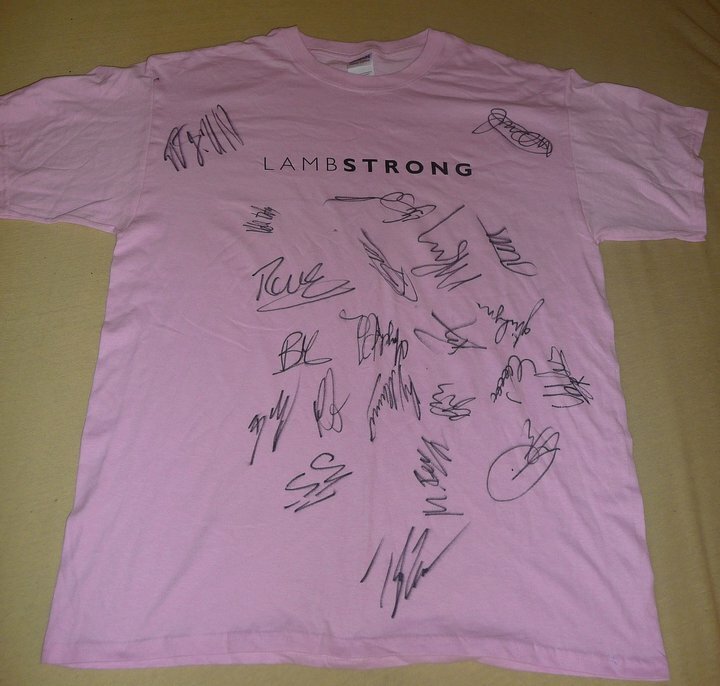 Please support the good work my friend Mona is doing by visiting her facebook page and bidding on this VERY SPECIAL AND VERY LIMITED EDITION (THERES ONLY ONE AND EVEN I DON’T HAVE ONE) GIRO LAMBSTRONG T-SHIRT signed by just about every PRO you would want. Its all for RIGHT TO PLAY. There’s even a RADIOSHACK rider in there, now that’s funny. Well done MONA you did really well getting this together. MONA can also be contacted on her Twitter page.